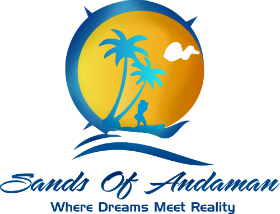 Welcome To The Andaman & Nicobar Islands! Upon Arrival Transfer To Your Hotel And Relax. Later, In The Afternoon, As Appetizer To Your Trip, Visit The Closest Corbyn’s Cove Beach Through A Marine Drive With Splashes Of Water Throughout The Way Literally. Later Visit The National Memorial- Cellular Jail To Witness The Spectacular Sound & Light Show - The Heroic Saga Of Indian Freedom Fighters. Overnight At Port Blair. After An Early Breakfast, Depart For Neil Island 40 Kms (2 Hrs Journey) By Ferry. Neil Island Is Triangularly Shaped With Lust Green Surroundings Of Paddy Fields, Banana Plantations And Tropical Trees. Many Natural Beaches And Attraction Like Howrah Bridge, A Natural Bridge Formation Makes This Island A Much Sought After Picnic Spot. The Sandy Beaches At Sitapur, Bharatpur And Lakshmanpur Are Very Attractive For Spending Holidays And Evenings. The Breathtaking View Of The Sea And The Lush Greenary Really Rejuvenating And Enjoyable For Enthusiastic Travelers. Overnight Stay At Neil Island. After Breakfast, Check-Out And Sail Back To Port Blair. Post Lunch Explore The Lovely City Of Port Blair- Visit Cellular Jail, Anthropological Museum, Fisheries Museum, & Samudrika Museum. Later In The Evening Enjoy Shopping At Sagarika. Overnight Stay At Port Blair. Following Breakfast, This Morning, Enjoy An Awesome Trip Of Three Wonderful Islands Namely Ross Island Which Was Britishers Headquarters From Where They Used To Govern, North Bay Island Also Known As Coral Island To Admire The Amazing Underwater World Viewing Through Glass Bottom Boats. Adventure Freaks May Opt For Snorkeling Also Which Is A Once In A Lifetime Experience. Later Take A Harbor Cruise To Viper Island Where You Can See The Gallows Used To Hang Prisoners During The British Raj. Overnight Stay At Port Blair. Tour Starts Early Morning For Baratang Island, 100Km Road Journey ,The Island Between South And Middle Andaman Has Beautiful Mangrove Creeks, Mud Volcano And Limestone Cave . 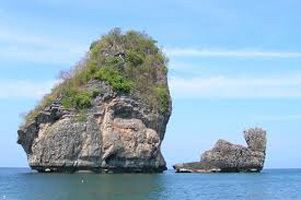 Once We Reach Baratang We Takes Small Speed Boat For Lime Stone Caves Where You Can Enjoy 30Min Adventure Journey Through Mangrove Creeks, 30Mins Trekking In The Forest For Lime Stone Caves And Mud Valcano Overnight Stay At Port Blair. The Mount Harriet Island National Park Is A National Park Located In Ferrargunj Tehsil In The Andaman And Nicobar Islands Union Territory Of India. The Park Covers About 46.62 Km² (18.00 Mi²). Mount Harriet Is The Highest Peak In The Andaman And Nicobar Archipelago And Is Named After Harriet Tytler, The Second Wife Of Robert Christopher Tytler, A British Soldier, Naturalist And Photographer, Who Was Appointed Officiating Superintendent Of The Convict Settlement At Port Blair In The Andamans From April 1862 To February 1864. Harriet Is Remembered For Her Work In Documenting The Monuments Of Delhi And For Her Notes At The Time Of The Revolt Of 1857 In India. Sited At The Southernmost Tip Of The Andaman Island, This Tiny Fishing Village Is 25 Km Away From Port Blair City. With Its Green Mangroves And Peaceful Forest, The Place Is Well Known For Its Rich Collections Of Birds, White Spotted Deer And Seasonal Orchids. Besides, A Perfect Place Of Nature Lovers. 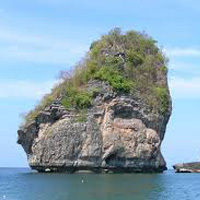 Also, Named As Bird Island, The Place Is Accessible Through Roadways From Port Blair Within 30 Mins. The Main Attractions Here Include Biological Park, Chidiya Tapu Beach And The Sylvan Sands & Munda Pahar Beaches. Forest Guesthouse, Set On The Top Of The Hillock Also Provides An Amazing View Of The Whole Village. Besides, Boat Trips Facilities Are Also Available From Chidiya Tapu To Cinque Island. After Breakfast Transfer To Veer Savarkar International Airport To Board Your Flight Back Home With Wonderful Memories Of Your Holiday With Dive In Andaman.